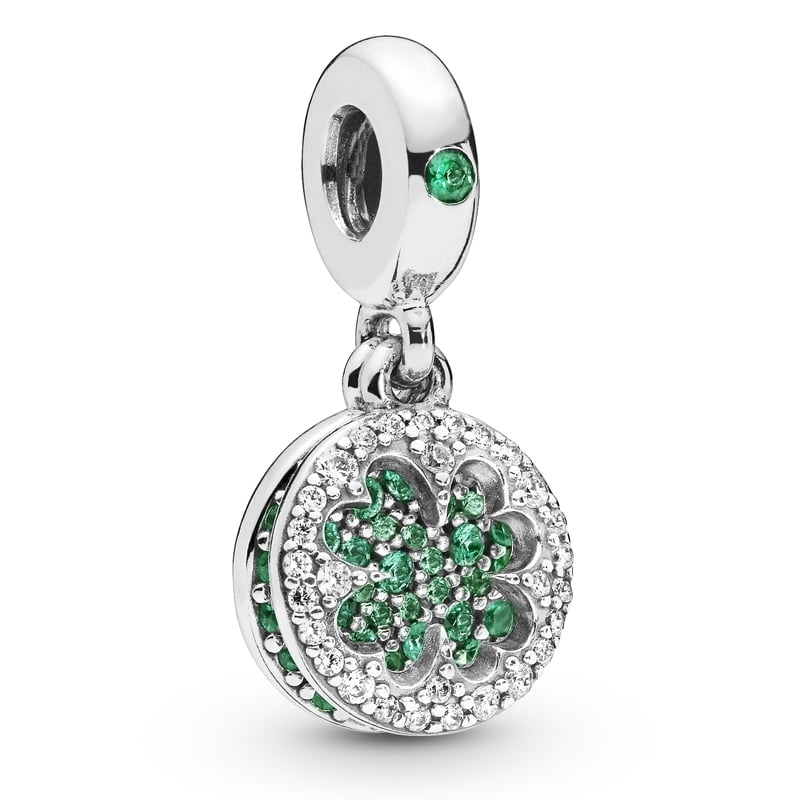 PANDORA Dazzling Clover Pendant Charm. Made from sterling silver, this stunning pendant charm is luminous with good luck. With glittering contrast of green and clear stones, the back disc is engraved with the encouraging message "anything is possible"